Great Gadgets for Moms on the Go! 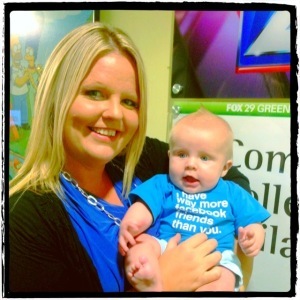 This morning I got to hang out on air with Mike & Sheinelle from Fox 29. They have such a good time in there. I love it when they ask me on. Makes me smile! ha. This morning was Hudson's TV debut. Boston of course has made plenty of tv appearances so I got the chance to bring Hudson on to talk about great gadgets for moms on the go. 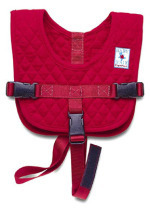 Baby-B-Air - Flight Vest - This is meant for lap babies (children under 2 who fly). It's a great product for traveling. My family travels A LOT and I always struggle with keeping him in my lap. And as moms, we all know the bigger they get - the more wiggle they become! Also, be sure to remember that this product is not to be used during take off or landing. But it rocks at keeping your baby close during flights! SNACK TRAP - This is BRILLIANCE. Mom created, of course! The Snack Trap brand has many great gadgets for moms on the go - but two that are biggies are the No Spill Bottle Caps - which are a LIFESAVER in my house - from Toddler to baby to even my 5 year old and his messy chocolate milk!! The other great 'snack trap' is that. The Snack Trap. This product allows the snacks to not go crazy spilliage all over the place. The GogoBabyz Sidekick: This is something that I GO GO to all the time now! 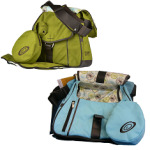 The GogoBabyz Sidekick is a diaper bag AND baby carrier all in one! When you are traveling or out and about - lugging the big bulky carriers AND diaper bags are NOT fun...at all. But this product is an ALL IN ONE! SLEEP PHONES: Made and created by a MOM in PENNSYLVANIA! Love it. The Sleep Phones are perfect for anyone (mom or dad) who struggles with sleep. I know when my babies were first born I never slept from those little noises they make. The Sleep Phones are like 'pajamas for your ears!' They rock. Really Really Rock. And now they recently came out with WIRELESS Sleep phones. Helllllooooo Bluetooth naps!